When in the market for a new rear bumper for your Wrangler JK you want something that not only looks great but will stand up to the trails as well. 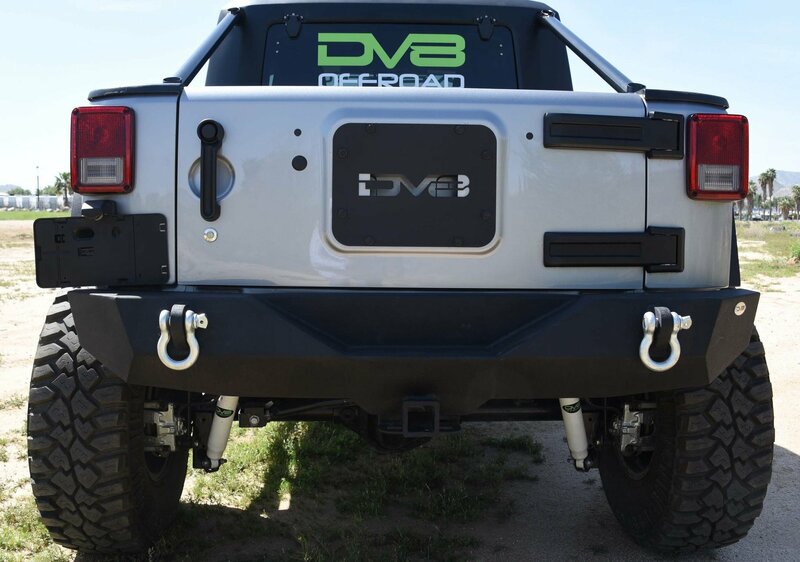 Look no further then the RS-4 Rear Bumper from DV8. Constructed from 3/16" & 1/4" cold rolled steel this bumper take abuse and still come out looking good. With D-ring mounts for added recovery points and a built in class III receiver hitch this bumper is a perfect addition for the weekend warrior or the everyday driver. Durability: The 3/16" & 1/4" cold rolled steel with .120 wall tubing make this bumper strong & lasting. Finished off with a textured black powder coat to resist corrosion & maintain it's looks. Features: High degree angles with raised corners to help with clearance if rock crawling. D-ring mounts for extra recovery points and a class III hitch rated at 3500lbs.